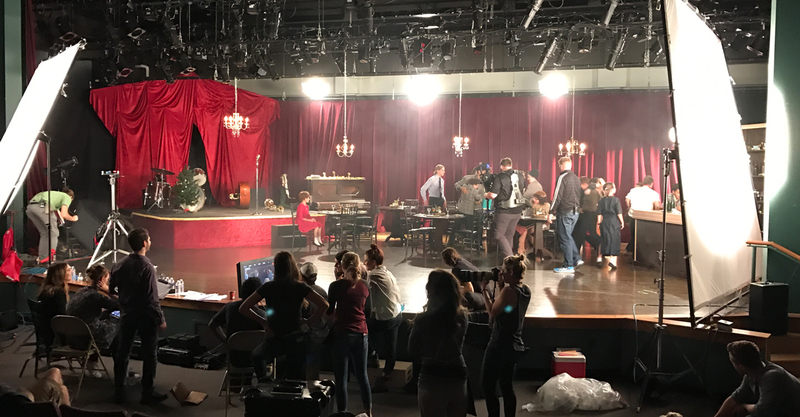 (December 16th, 2016) Passion Pit Frontman Michael Angelakos returned to his hometown of Buffalo to film his full length Christmas video album “Merry Christmas, Mr. Fields” this past October. MCMF was shot at Michael’s alma mater, the Nichols School in North Buffalo and featured the acting talents of actual Nichols Students. 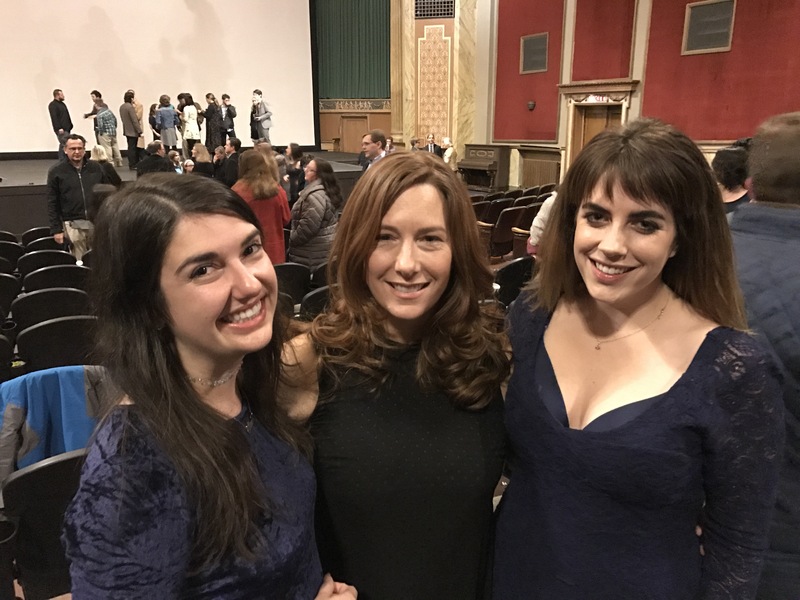 (L-R) Key production personnel of MCML Costume Director Alison Pieroni, Producer Amy Strzelec, and Hair and Make-up Cassandra Lyons at North Park Premiere. This project was first narrative feature managed by Buffalo advertising veteran Amy Strzelec and featured the talents of Director of Photography Shannon Madden, Hair/Make-up Cassandra Lyons, and Costume Designer Alison Pieroni. 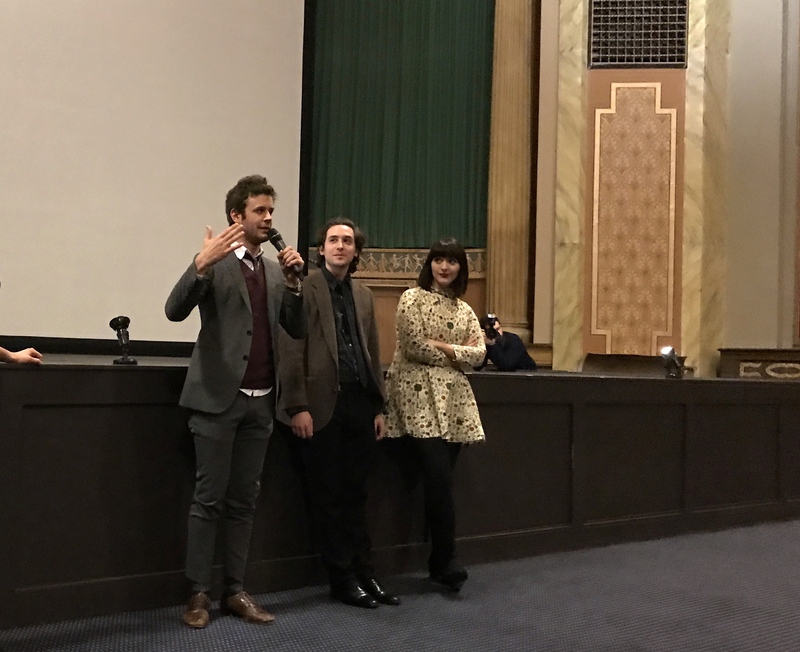 (L-R) Michael Angelakos, Brent Katz, and Director Hana Haley during Q and A at the North Park Theatre. 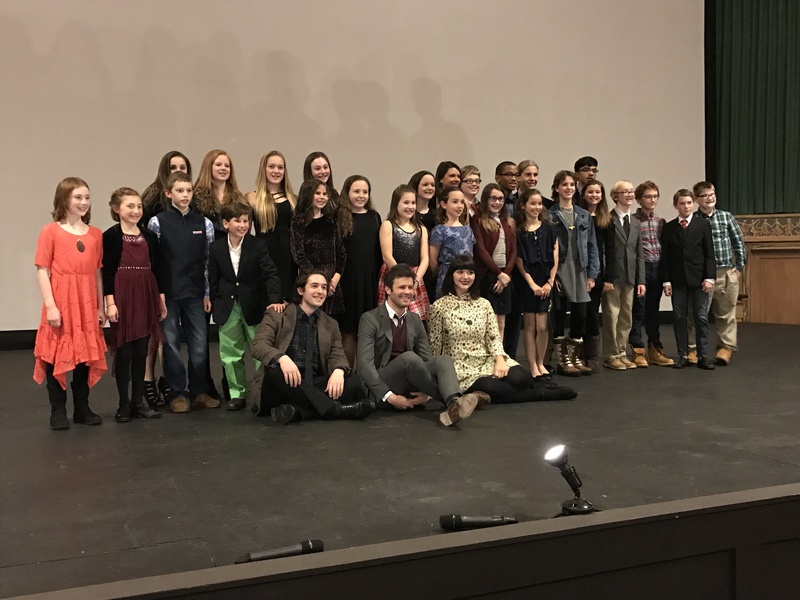 At a cast and crew sneak peak at the North Park Theatre Angelakos expressed excitement in returning to Nichols where he had a chance to explore and develop his artistic abilities as a student, and how proud he was of the Nichols Students and their performances in the production. Joining Angelakos on the main creative team for MCML teamed up with former Harlem Shakes member Brent Katz and director Hana Haley. Katz, Angelakos, and Haley seated in front of the entire Nichols School Cast for “Merry Christmas, Mr. Fields”.